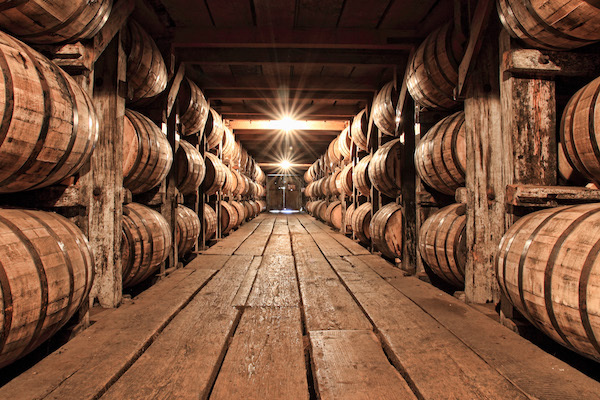 Buffalo Trace and Blanton’s are virtual unicorns for bourbon lovers living in North Carolina. Getting the chance to buy a bottle, particularly Blanton’s, in North Carolina is — using a movie reference — akin to finding a golden ticket in an oversized bar of chocolate. North Carolina gets products from the Buffalo Trace Distillery in Frankfort, Kentucky — which makes the iconic and mostly unattainable Pappy Van Winkle — only a couple times a year, and those bottles are subsequently allotted to N.C. Alcoholic Beverage Control boards around the state. Buffalo Trace, the distillery’s flagship bourbon, isn’t hard to find in Kentucky and many other states — granted, it may cost more — but good luck finding a bottle in North Carolina. Most customers, then, are left to guess when during the week respective stores will get the bourbon, and exactly what each store will get. A clerk at one of the largest stores in Wake County told me Tuesday he didn’t know when that store would get the Blanton’s. Wednesday? Nope, not yet. Don’t know. Just keep showing up, I guess? Call incessantly and bug people to death? Join any bourbon-centric social media thread with ties to North Carolina and a plethora of similar stories appear. A thriving and illegal secondary market only accentuates the problem, as bourbons such as Pappy can fetch so much more than what it sells for in price-controlled North Carolina. To be clear, this isn’t the fault of store clerks and managers, who, by my experience, have been consistently knowledgeable, pleasant and helpful. I know ABC store managers, two in particular, who make extraordinary efforts to serve customers and to stock their stores with products both popular and rare. These are good people doing good work. Thing is, the system in which they operate is broken and in dire need of reform. Almost daily now, state lawmakers are filing myriad bills toward reforming the system. The momentum is building, yet the Buffalo Trace fiasco is just one example of an 80-year-old problem. I’ve read posts on social media arguing against privatizing the state ABC system because it would hurt small towns and rural counties, primarily because money from sales transferred by the boards to the municipal entities would go away. But there are other ways to make up for that so-called “lost” revenue — excise taxes, property taxes, selling the state-owned buildings, licensing fees. The state revenue, too, could be held harmless until lawmakers and local officials devise an equitable means of replacing the money. Further, stores must be profitable to distribute revenue and, a recent study by General Assembly staff says, about half of the state’s 550 or so municipalities get no money from liquor sales. Some people, self-professed bourbon aficionados, even say they prefer cheaper, widely available bourbons over Blanton’s. Others simply find fun in the chase, an idea I mentioned to an ABC store worker Wednesday. “It’s not fun,” he said. Antiquated and arcane state control never is.